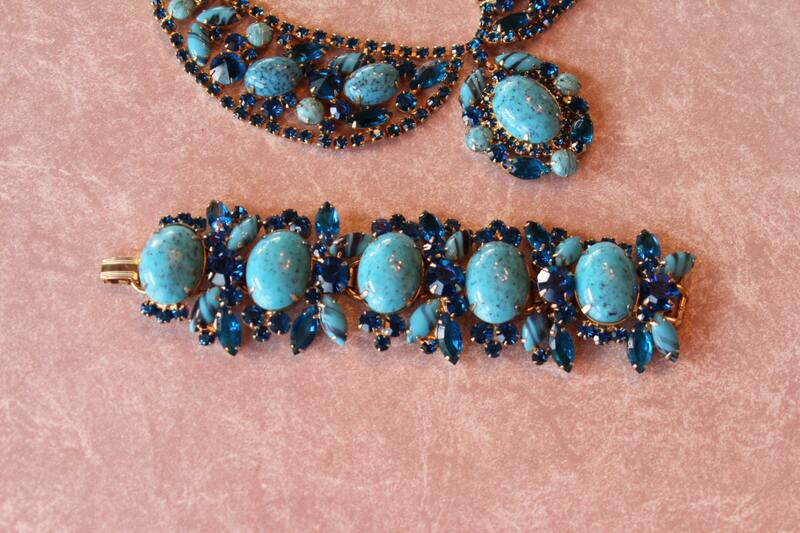 First seen in the D&E Design books in 1962 this Drop Dead gorgeous necklace has blue turquoise matrix stones accented with a variety of blue rhinestones. 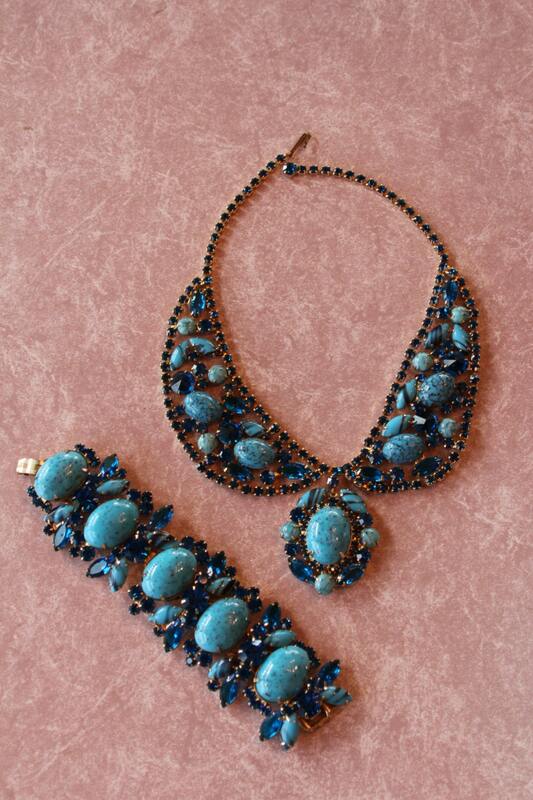 These gorgeous blue stones were made to mimic real turquoise and were called blue turquoise matrix by D&E. 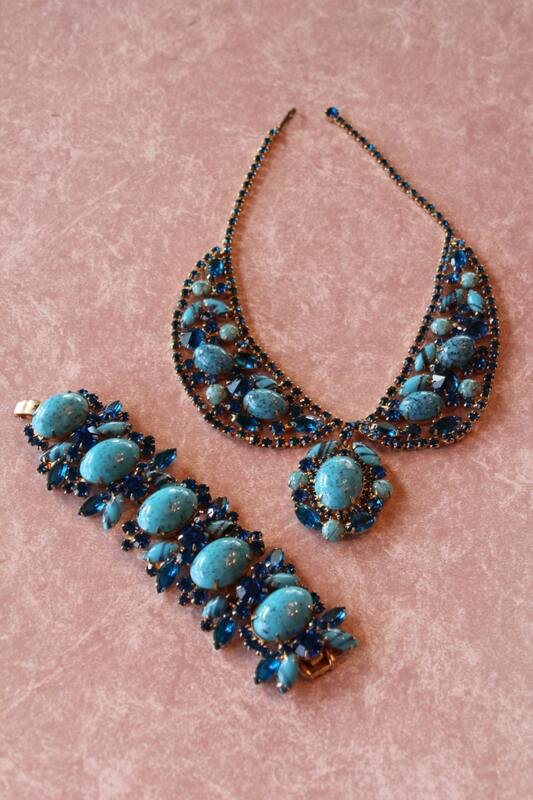 This set rarely comes up for sale, The turquoise matrix centerpieces is flanked by a collar style bib section that lays beautifully on the neck. The bracelet is huge! Please read carefully ! 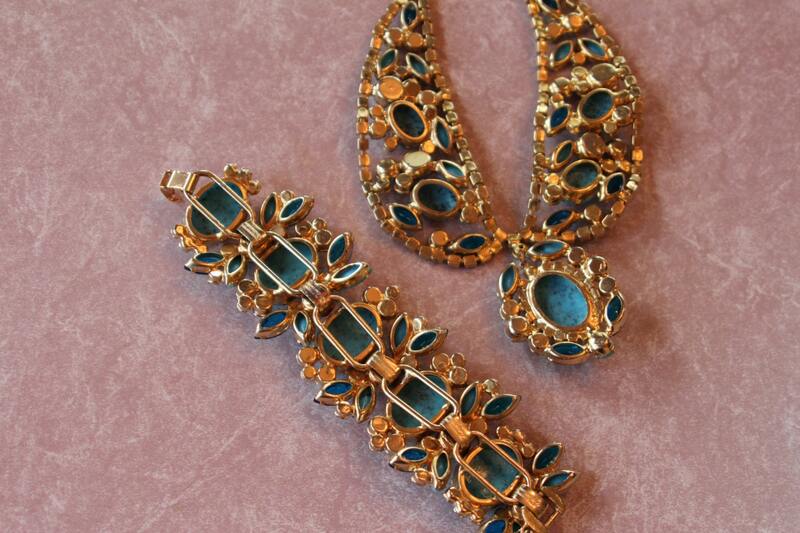 The bracelet has one issue, the previous owner had a very small wrist and removed one of the rhinestone end sections. This is not noticeable and is still very wearable, I wore it to CJCI in 2011 and got so many compliments and envious looks. 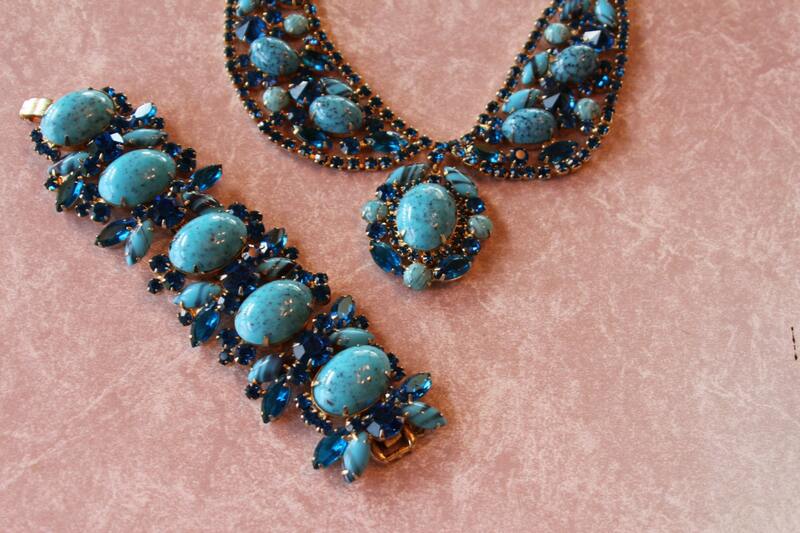 This set is sold as is, this slight imperfection is not noticeable when worn.